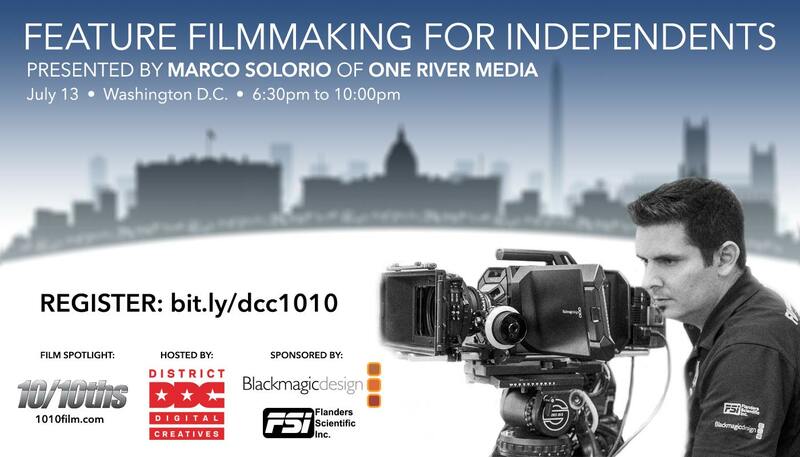 Join us July 13th in Washington D.C. at District Digital Creatives for an exclusive filmmaker presentation by Marco Solorio of OneRiver Media as he takes us through the filmmaking process of the 2-hour BMW motorsport documentary feature film, “10/10ths“. As co-executive producer, director, cinematographer, editor, colorist, and scoring composer, the time has truly arrived for independents to create their feature film using affordable tools while yielding extensive quality and flexibility. We’ll go behind-the-scene, view samples from the film, share tips-and-tricks, examine workflow scenarios, and learn about the tools used (past, present, and future) that aid in accomplishing the making of quality feature film work—affordably. 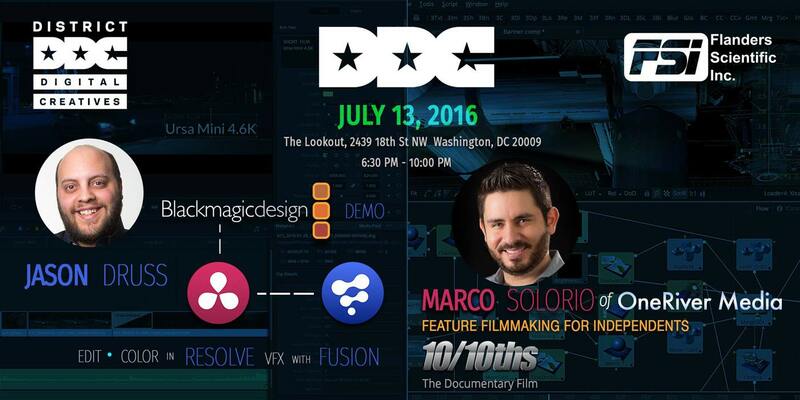 Jason Druss of Blackmagic Design will also be on deck to share valuable insight in the use of DaVinci Resolve and Fusion. And if that’s not enough, there will be fantastic raffle prizes at the event, including DaVinci Resolve Studio 12.5, Fusion Studio 8, and a paperback copy of Marco Solorio’s latest book, “Rigging Your Cinema Camera“. You definitely do not want to miss this in-depth event! But you must register to attend!